The Gibsons were wealthy landowners in the South Carolina backcountry who became white in the 1760s, ascending to the heights of the Southern elite and ultimately to the U.S. Senate. The Spencers were hardscrabble farmers in the hills of Eastern Kentucky, joining an isolated Appalachian community in the 1840s and for the better part of a century hovering on the line between white and black. The Walls were fixtures of the rising black middle class in post–Civil War Washington, D.C., only to give up everything they had fought for to become white at the dawn of the twentieth century. Together, their interwoven and intersecting stories uncover a forgotten America in which the rules of race were something to be believed but not necessarily obeyed. Defining their identities first as people of color and later as whites, these families provide a lens for understanding how people thought about and experienced race and how these ideas and experiences evolved—how the very meaning of black and white changed—over time. 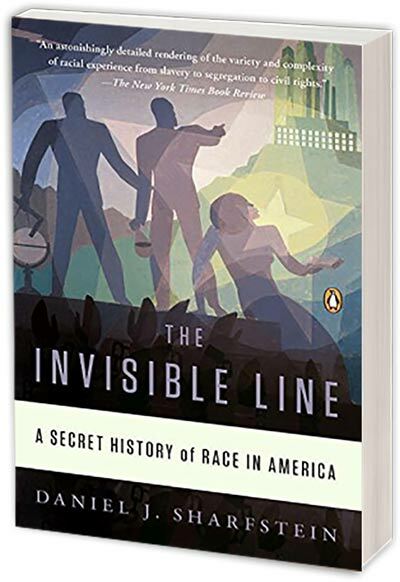 Cutting through centuries of myth, amnesia, and poisonous racial politics, The Invisible Line will change the way we talk about race, racism, and civil rights.